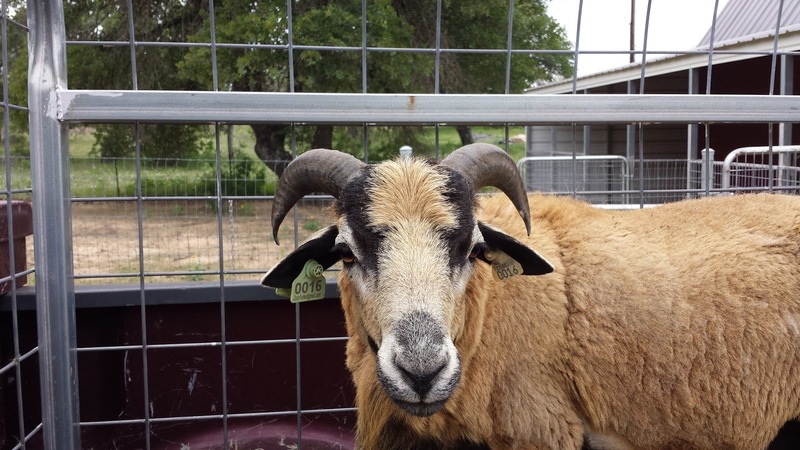 BLOODLINES -- Zoar Farms attempts to maintain four Barbados Blackbelly Sheep bloodlines. These bloodlines are named in remembrance of the place from which the line came in the earlier years of the initial breeding program, or by the particular name of one sheep of significance. 1-SAINT MICHAEL LINE is named after a particular ram. 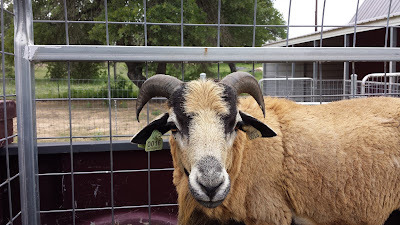 2-SAINT PHILLIP LINE is named after a particular ram. 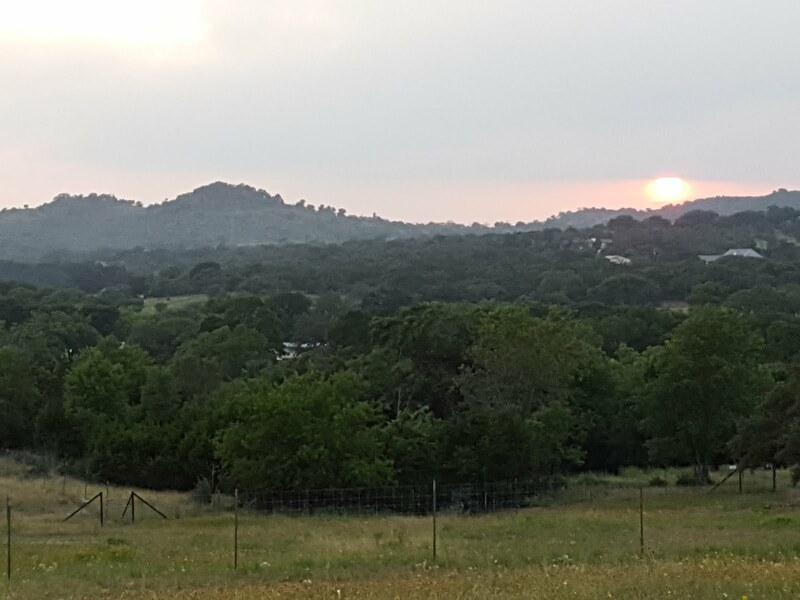 3-ARKANSAS/HATLEY is named for the state and owner of a particular farm in which a grouping of sheep were bred. 4-SCHOOLEY VSU is named for the owner of a particular farm which was the recipient of the latest release of sheep from the Virginia State University (VSU) test herd. To identify these four lines, I came up with a system of color coding for collars, which all adult ewes wear around their neck at Zoar Farms, along with a yellow ID number. This allows the ewe to be spotted easily. For example, in the picture below, Critterhaven Verina wears a neck tag of Blue, which means she is in the Saint Michael Line. Her yellow number specifically identifies her from a distance. It's virtually impossible to see her ear tag from far, so this method helps the breeder keep tabs on a particular sheep. There are other lines spoken of among breeders throughout the United States, such as the TENNESSEE LINE or the OKLAHOMA LINE. In the early days of the Barbados Blackbelly Association, it was the "wild west" of breeding these sheep: Breeders trying to save the purest strains assembled various sheep from here or there, as they came by them, with the desire to save the breed from extinction. Breeding programs developed differently, with a focus on this trait, or that trait. For some, eliminating any white in the coat was a focus, for others, eliminating scurs and horn buds was the focus. Others concentrated on increasing the carcass size, and so forth. Each breeder did what they thought was best. The goal of everyone was to save and preserve the breed, and help shape it to conform to a breed standard which would be put to paper, and now exists. Variations within the breed are unavoidable, even under the best of circumstances and breeding practices, which is why one will see on the Breed Standard page of the BBSAI that one trait is ideal, and another is acceptable. Not to Standard : Sheep with these flaws should be culled from a breeding program. These flaws are detrimental to the future of the breed. 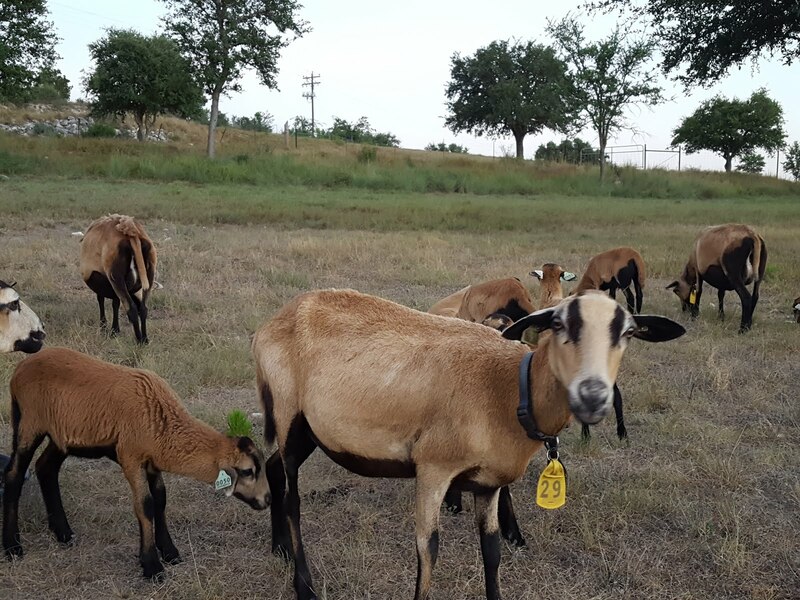 It is possible to do everything right: To mate an ideal ewe with an ideal ram, with awesome pedigrees going back five generations of registered ancestry, and still produce the "Not to Standard" sheep pictured below. Genetically, he was RR at Codon 171 -- check! He was from a sire which was ideal breed standard -- check! His sire had produced awesome offspring for a number of years -- check! His dam was equally awesome, producing breed ideal sheep -- check! So, what happened? Well, the "woodshed" happened somewhere, some how, generations ago, and the recessive trait of huge horns in this case decided to make a strong comeback. Horns in a polled breed is not acceptable in any way, and so he wasn't able to be registered, of course, and had to be culled from the herd. However, he did bring $225.00 at auction as a meat animal, and so he furthered the operation at Zoar Farms in his own way.